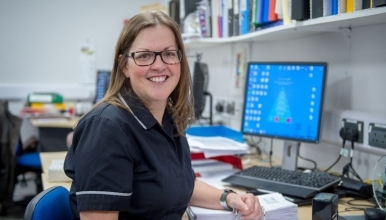 We are seeking enthusiastic, self-motivated pharmacy technicians with excellent communication skills to join our Pharmacy Team at The Royal Shrewsbury Hospital. The post involves working alongside our pharmacists, nurses, doctors and other healthcare professionals to provide an integrated medicines management / optimisation service. As well as the traditional roles of dispensing, accuracy checking of dispensed medicines and aseptic / technical services. You must have BTEC/NVQ3 in Pharmaceutical Science or equivalent, and be registered with the General Pharmaceutical Council. You should be able to demonstrate evidence of continuing professional development in pharmacy practice and have Accredited Checking Pharmacy Technician (ACPT) status, although training and support can be provided for those technicians not already accredited. The Pharmacy team is committed to developing the role of pharmacy technicians and is supportive of training up to Masters Level (MSc) where suitable. Although these posts are advertised as full time, applications are also invited from Pharmacy Technicians able to work part-time hours.